Horse of a Different Color is dedicated to offering our customers classic equestrian home décor lines that are tasteful enough for equestrians and non-equestrians alike. We are extremely conscious of environmental concerns in our products and will continuously update you on creative decorating solutions for recycling all that horse tack you might have acquired over the years. You know who you are! To quote my brother, Peter, ideas are like butterflies. They appear out of nowhere on brilliant gossamer wings. Great ideas are sometimes hatched on cocktail napkins or under apple trees. The idea for Horse of a Different Color was born out of the love of a once in a lifetime Westphalian mare named, Fatima, and a fence found in a watercolor painting hanging on my living room wall. 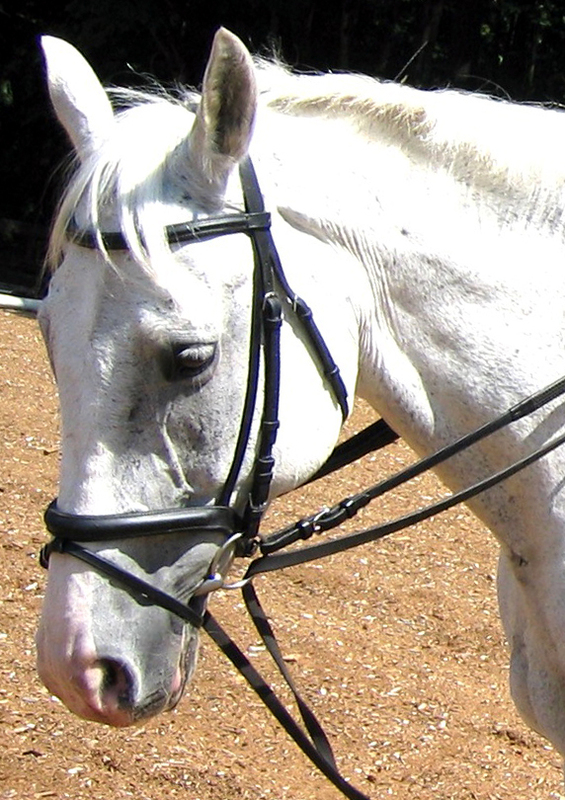 Fatima was the horse that everyone dreams of owning. Not only was she extremely talented in both Grand Prix Dressage and Show Jumping but also possessed a big, kind heart and loving disposition. 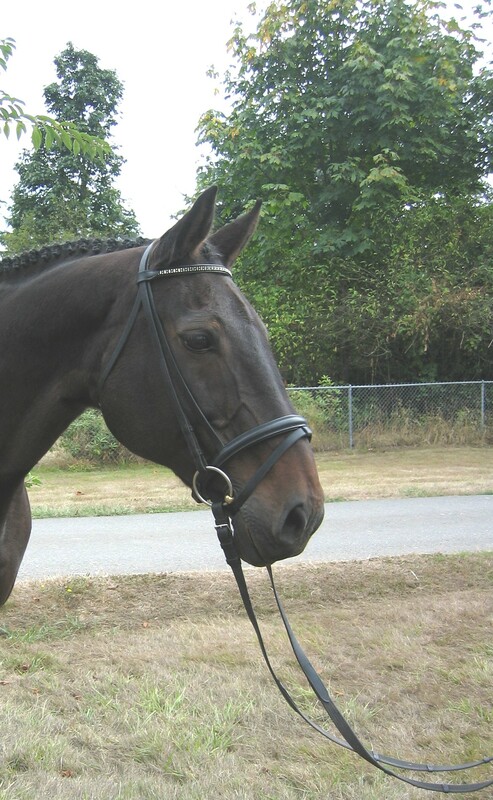 When we lost her we were devastated and felt that we could never replace our gorgeous dark bay mare. 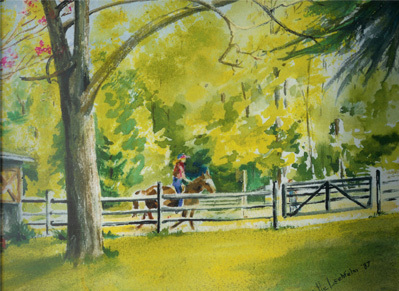 My Mom, an artist, had painted a water color of me riding at a picturesque farm in Westchester, NY. It hangs on our living room wall and for some reason, I always liked the fence in the picture. When my lifelong love of horses, combined with my 25 year interior design background ( www.alittleaccent.biz) prompted me to create an equestrian home décor line, my Mom’s watercolor called to me for inspiration and off we went...Meanwhile, while we were super excited about designing and developing our home decor line, we just could not settle on a name for our company. A year had passed since the loss of Fatima and a friend urged me to visit a big Grey Irish Draught named Denzil. 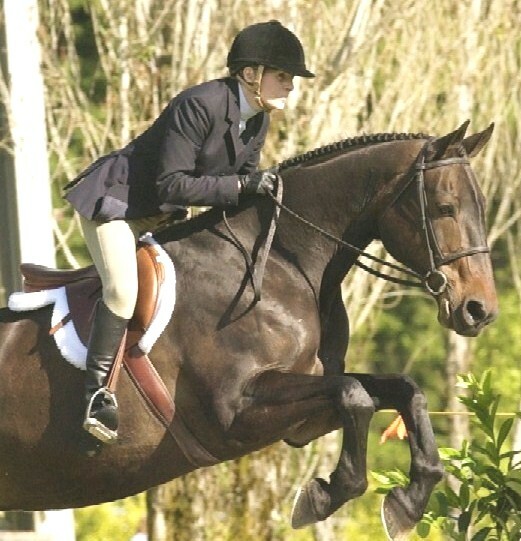 Denzil was an advanced 3 Day superstar rehabbing from colic surgery who needed a friend. When he met me at the stall door with ears pinned back, I didn't feel our first meeting went too well. But many visits later he eventually started to warm up. Denzil is big and strong, so the first 3 months under saddle were spent with him running off with me. Not a great start to a relationship! But then one day something extraordinary happened (warning: only horse people will relate to this!) 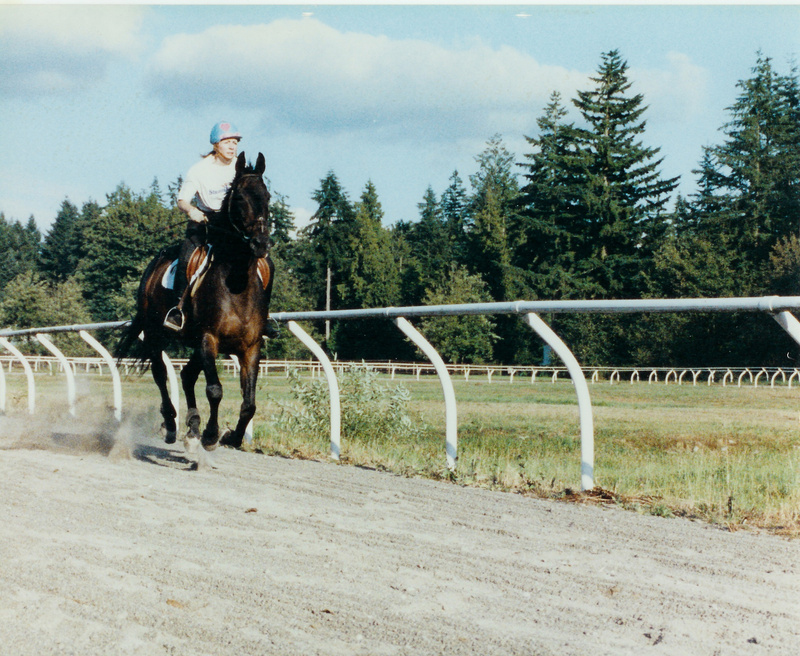 I had dismounted and looked Denzil in his big brown eye and I actually felt Fatima ….it was weird but from that moment on everything changed between us and we became incredibly bonded. I could never replace Fatima, but I had found a big grey gelding that was a Horse of a Different Color and he needed a friend as much as I did. Denzil has turned out to be such a gift as he, too, has a big heart, gentle spirit and is very talented. And finally we had found a perfect name for our new equestrian home decor site. So, that’s my story... thanks for letting me share it with you! We really hope you enjoy our home decor creations and we’d love to hear your story of how these magical animals have touched your heart! We invite you to post your story on our Facebook page.